We’re in the midst of planning our next project (fans of women, ambulances and tales of incredible courage, stay tuned) and in the meantime, we’ve got a series of posts about other lesser-known stories of wartime bravery. 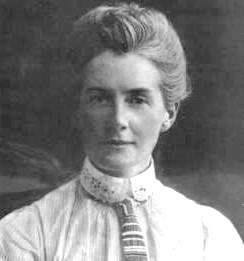 First up, the remarkable Edith Cavell. Born in 1865, Edith was the daughter of a vicar, who worked as a governess before taking up nursing at the age of 30 (some additional inspiration for any of us who graduated without a clue as to what we wanted to do with our lives…). She was also a passionate lover of nature, and loved ice skating. Having qualified as a nurse, she was rewarded for her work during the typhoid fever epidemic in Maidstone. 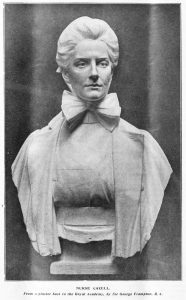 Her superior was less impressed, however, noting that “Edith Louisa Cavell had plenty of capacity for her work, when she chose to exert herself” and that “she was not at all punctual”. To be fair to Edith, conditions for nurses were incredibly challenging – 14 hour days and very low pay. She moved to Brussels in 1910 and helped develop the professional nursing movement, providing hospitals and even the Queen of Belgium with fully trained nurses. Ironically, given her earlier timekeeping, she was a stickler for punctuality and was happy to punish latecomers with extra duties. When war broke out, her family begged her to return but she declared that her work was more important than ever and remained at her post. As the first casualties of the German offensive in Belgium arrived, Edith treated the wounded of both sides with equal respect, earning her considerable criticism from Allied forces. A strong Anglican Christian, she believed that all wounded were worthy of dignity and respect. However, her efforts on behalf of the British went quite a lot further than treating the wounded. She was secretly smuggling hundreds of men out of Belgium and into neutral countries, assisted by members of the Belgian nobility and her fellow nurses. This was not to last long. Edith was arrested in 1915, and condemned to death for treason. The idea of executing a woman, and a member of the medical profession, was a highly controversial action, and multiple neutral countries appealed on her behalf for clemency. Even prominent members of the German government were highly uncomfortable with the decision. Nonetheless, they proceeded and Edith was executed on 12th October 1915 at dawn. A very moving account of her final hours has been recorded by the prison pastor – available here. Patriotism is not enough. I must have no hatred or bitterness towards anyone.